■ Meanwhile, a candidate for alderman—and self-described “day-one Trump supporter”—is suing Madigan, complaining of fraud and intimidation. 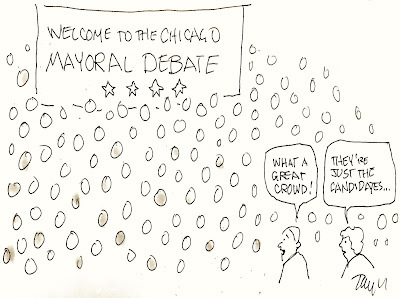 ■ A Sun-Times editorial calls out 21 “weasel” aldermen seeking reelection. 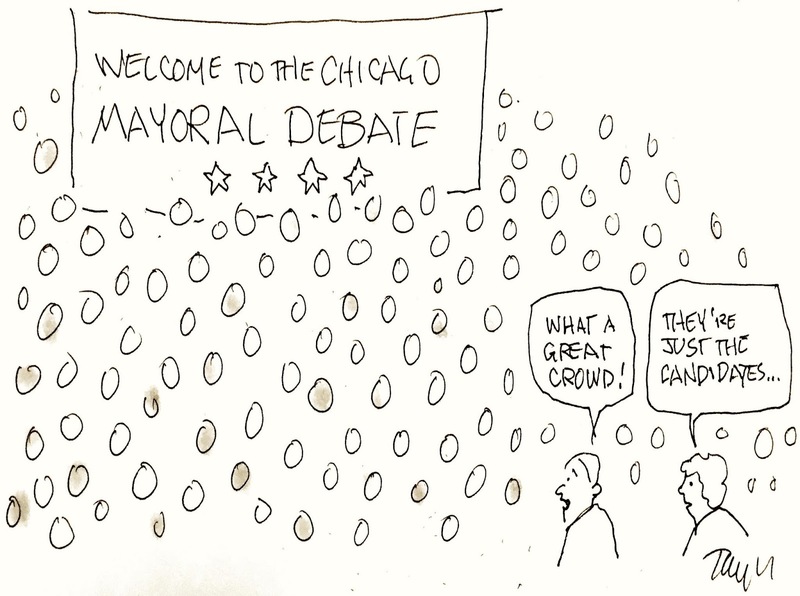 ■ The Chicago Public Square voter guide for Chicago’s election is here for ya. Chillinois, Windiana. The regional National Weather Service office is using those nicknames as shorthand for the record-threatening weather throttling the Midwest. ■ The coldest weather here in a generation threatens 72 hours of subzero wind chills. ■ Hospitals are bracing for the worst. What’s closed—or closing. The roster of schools, universities, courts, museums and zoos closing over the next few days is growing. ■ The Emergency Closing Center offers a searchable list for organizations of all sizes shutting down. ■ Business shutdowns will hurt hourly workers the most. ■ The polar vortex is 4.5 billion years old. ■ … but President Trump considers it a laughing matter. 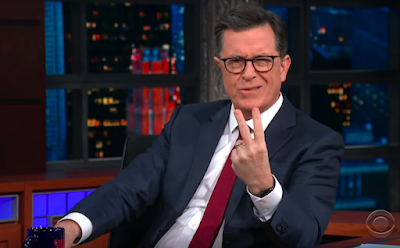 Colbert: Trump’s ‘enemy.’ Promoting his tell-all account, ex-Trump aide Cliff Sims told Stephen Colbert last night that Colbert placed No. 2 on an enemies list Sims compiled for the president. ■ The government shutdown let vandals run amok at Joshua Tree National Park, doing damage that may take nature centuries to repair. ■ Updating coverage: Trump pal Roger Stone was due before a federal judge today on charges of lying to Congress, tampering with witnesses and obstructing an investigation into coordination between the Trump campaign and Russia. I-L-L. The University of Illinois at Urbana-Champaign is on alert after confirmation of measles in the community. FaceTime warning. After discovery of a serious and embarrassing security flaw, which lets someone call you via FaceTime and listen to your Macintosh or iPhone’s microphone—whether you answer or not—Apple is promising a fix. ■ USA Today lists other programs you can use. ■ A water-resistant phone may have saved the life of a man trying to rescue his dog from icy Lake Michigan. ■ A new global ranking finds the U.S. becoming more corrupt under Donald Trump. Chemical romance. Detroit-based Chemical Bank is acquiring—and taking the name of—Minnesota-based (and big-Chicago-footprinted) TCF Bank. ■ Despite Lyft’s warm-and-fuzzy image, its CEO aims to be a take-no-prisoners leader. ■ If you enjoy clicking on links, please consider doing your part to keep these clickable links coming: Support Chicago Public Square for a few pennies a day. Thanks … to reader Joe Orihuela—first to note a comma missing in the phrase “schools, universities, courts, museums and zoos” above.